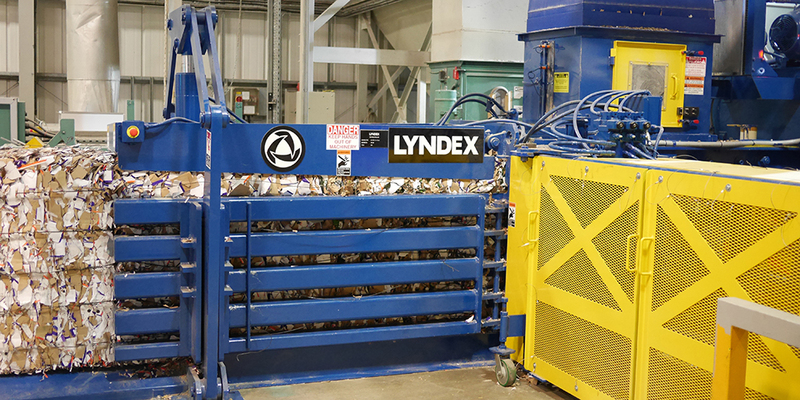 The Lyndex BLT range of small-channel balers offers solutions to all small to mid-size operations requiring a full automatic baler. Machines are available with hopper sizes, main ram sized and power units tailored to suit the application in hand. 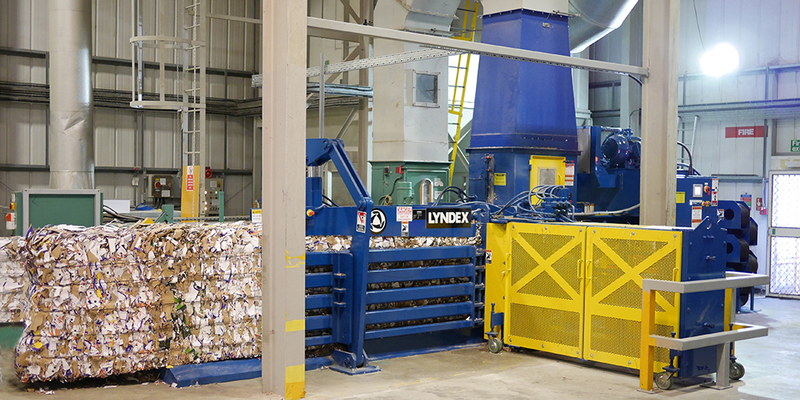 The BLT 55-760 1x22kW full automatic machine is the smallest channel baler in the BLT range. Ideal for applications where material is air-fed to the machine. Having a 1000mm x 710mm size hopper gives the machine a small footprint. The BLT 55-760 is a clearance baler that produces a 760 x 1100mm bale. Performance rates, bale weights and bale densities are subject to moisture content, material pre-bale densities, feed rates and other variables in baling. Specifications and nominal dimensions are subject to change without notice. The BLT 70-760 1x22kW full automatic machine offers a compact design with a 70 Tonne main cylinder pressing force, giving a compact channel baler that can produce high-density bales. Ideal for applications such as printers and box-making plants where material is air-fed. The BLT 70-760 is a clearance baler that produces a 760 x 1100mm bale. The BLT 70-1100 1x30kW fully automatic machine offers a compact design with a 70Tonne main cylinder pressing force and a hopper size of 1270mm x 1040mm. Ideal for warehouse applications, the BLT 70-1100 is a shear baler that produces a 1100x1100mm bale. The BLT 70-1100 1x37 fully automatic machine offers a compact design with a 70 Tonne main cylinder pressing force, with a hopper size of 1270 x 1040 mm and a 37kW main hydraulic motor resulting in a baler that can process up to 12 Tonnes/hour. Ideal for warehouse or recycling plant applications. The BLT 70-1100 is a shear baler that produces a 1100 x 1100 mm bale.